If you have ever read a book on numerology or had a numerology reading or report done for yourself, then you have an understanding of how valuable numerology can be to better understand yourself and your loved ones. One of the shortcomings, though, of most books and online numerology readings and reports is the basic approach they take to keep things simple and manageable. This results in a less then ideal reading or report. A innovative approach developed by Matthew Oliver Goodwin, a renown numerologist and author of the highly respected “Numerology: The Complete Guide,” uses Energy Groups and Repeated Numbers to overcome many of the limitations of these simpler methods. 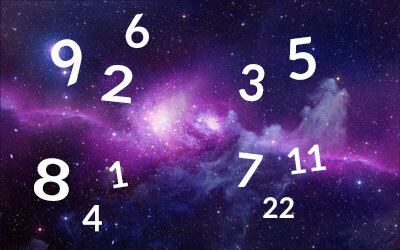 These groups become important when we look at all the numbers in the core of a numerology reading. The core, as defined by Goodwin, consists of the Life Path, Expression, Soul Urge and Birthday. A number is repeated when it occurs in more then one of the core positions, or in the sub-numbers behind one of the core numbers. The best way to see this significance is through an example. In the common approach there would be a description for a 6 Life Path, then a description for the Expression, then the Soul Urge, and finally the Birthday. In this approach, these would be 4 separate descriptions, with no attempt to tie together the 6 Life Path with the 9 Expression and the 6 Birthday. But, in Goodwin’s system these 3 elements, because they all have numbers that are similar and in the same Energy Group, would be described as a whole, because each number and position affects the other. Goodwin would describe the 6 Life Path, 9 Expression and 6 Birthday as one unique combination of numbers. First he would describe the 6 Life Path by itself, followed by the 9 Expression and then the 6 Birthday. Finally, the entire combination of the unique 6-9-6 energy contained in the Life Path, Expression and Birthday would be described. He would also describe the occurrence of the repeated 6’s (6 Life Path and 6 Birthday), which is a very strong influence in this chart, but which is ignored by most other approaches. Whenever a number is repeated in the core, it means that this person is much more likely to be running their energies at either the under-balanced or over-balanced end of the spectrum for that number—rather then using this energy in a more balanced way. A thorough numerology reading or report would emphasize this out of balance use of energy when describing the 6-9-6 combination. As you can see, using Energy Groups and Repeated Numbers adds a new dimension to a numerology reading. Whether you get a numerology reading from a professional numerologist or an online numerology report, first ask if they use Energy Groups and Repeated Numbers, as this can make a big difference in the depth, completeness and accuracy of the reading. For a more indepth discussion of what to look for in a numerology reading or report, see Why People Think So Highly of Our Numerology Reports. Larry Malakoff, a professional numerologist for over 20 years, worked side-by-side with Matthew Oliver Goodwin, a renown numerologist and author of “Numerology: The Complete Guide.” Larry is also president of Widening Horizons, a company that has developed a complete line of Numerology Software for personal and professional use that generate highly accurate, indepth and insightful reports. Instant online Numerology Readings and Reports are also available and include Numerology Personality, Numerology Compatibility & Numerology Forecast Profiles. Extensive research was done by the Association for Research and Enlightenment using the Numerology Personality Profile and concluded that this report had a remarkably high accuracy of 90%. Widening Horizons has been serving the needs of the numerology community since 1985. To discover your hidden strengths and talents and how to make the best use of them, get your own Numerology Personality Reading now. Or, to bring more love and joy into your romantic relationships get your own Numerology Compatibility Reading.